Due to fluctuating temperatures condensation can form in enclosures. This can lead to serious malfunctions or in the worst case to a component failure. Convection heaters protect against low temperatures, thus preventing the formation of condensation. 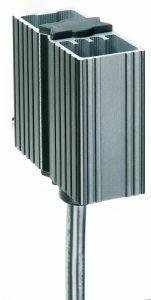 CREX – 50 and 100 W, heater designed to work in hazardous areas.